It's not exactly big news that celebrities like to make sure their children's' names are unique. Evidently, naming their kid Anna or Michael is just too basic and boring as their little ones need a more fabulous and over-the-top name from day one. This is why so many celebrities take inspiration from food, travel and popular brands. Others prefer to opt for two names that a non-celeb would never dream of going for, leaving fans scratching their heads in confusion. Don't believe us? Well, let's just say that things like Audio Science, Royal Reign, and Kyd are actually people's names now, as mind-boggling as it is to us normies. Wealth and fame shouldn't give people the right to give their kids such names and yet somehow, celeb parents keep getting away with it. These kids have done nothing wrong, and they deserve way better! With that being said, let's have a look at 25 celebrity kid names that the parents may have thought were a good idea, but the children will definitely want to change. Heiress Diana Harris, the 2-year-old daughter of rapper T.I. and singer-songwriter Tameka Cottle was born in 2016. Needless to say, the parents got particularly creative with the name. Obviously, they just wanted to make sure the name would be worthy of inheriting the family's fame-based legacy and what better way to do that than by giving their daughter the name Heiress? Watch her turn 18 and immediately change her name as she realizes the silliness of the name. Remember Shannyn Sossamon from A Knight's Tale? She has come a long way since being considered Hollywood's It Girl and things took a particularly odd turn when she decided to name her first born Audio Science back in 2003 with her husband author-illustrator Dallas Clayton. The kid is now fifteen and we can't help but wonder how he feels about his name. As if just Audio or Science wouldn't have been unfavorable enough, the two decided to go for both. Way to get in the way of your kid's chances of being cool! Singer Jessica Simpson and former football player Eric Johnson gave their son quite an odd name back in 2013. While his first name Ace is somewhat common and kind of boring for a celebrity kid name, adding Knute to it spiced it up a bit. But still, Ace Knute just rolls off weirdly on the tongue and it honestly makes us wonder why celebrities don't enjoy giving their kids good ol' regular names. There's nothing wrong with a Jack or a Ben, am I right? It would seem that creative names run in the Simpson family, as Jessica's younger sister, singer Ashlee Simpson and her at-the-time husband, singer Pete Wentz gave their child the name Bronx Mowgli. Yup, Bronx as in Brooklyn isn't cool enough anymore. In fact, we wouldn't be surprised if celebs moved on to other NYC boroughs like Manhattan and Queens for baby name inspiration as well. Perhaps the source of the name Mowgli came from the lead character from The Jungle Book. And while these might not be too bad separately, together they just sound like a mess. Speaking of Ashlee Simpson, her daughter with current husband, actor and musician Evan Ross has just as odd of a name as her half-brother Bronx Mowgli. The three-year-old is named Jagger Snow and honestly, the first thing that comes to one's mind is singer and rock legend Mick Jagger along with Game Of Thrones' Jon Snow. Those two definitely make a weird combo, so hopefully, Ashlee and Evan have a better story for why they named their daughter that. You thought it can't get any worse? You thought wrong. Australian model Lara Bingle and her husband, actor Sam Worthington have pretty much topped all the names so far. When their son was born in 2015, they decided to name him Rocket Zot. Yup, you're reading that right, they named him Rocket and not just that... but Rocket Zot. Seriously, that kid is now destined to join NASA when he grows up. And if he doesn't, he should just go ahead and change his name. Former reality star Holly Madison and her husband Pasquale Rotella gave one of the most eyebrow-raising names on this list to their daughter. The now five-year-old is called... drumroll... Rainbow Aura! ladies and gentlemen, that is not a joke. The kid is actually named that and it certainly takes us a moment to process it. We get it, unicorns, rainbows and all things whimsical are a very popular Tumblr trend, but that does not mean that parents should go ahead and name their offspring something this ridiculous. Let's go ahead and take a look at the Kardashian Klan, because oh boy, do they have some laughably creative baby names to offer. First on our list is, of course, reality star Kim and rapper Kanye's first born daughter, North. Yeah, first name North, last name West. Everyone and their mother have probably heard of her name by now, but we still had to include her because it has become one of those outlandish celebrity baby names. When it comes to their second-born, Saint West, it seems as if Kim and Kanye decided to just get creative. Although they didn't opt for another cardinal direction, they definitely still went big with the name by naming their son Saint. It's okay to make statements with their fashion, but can they please not make one with their child's name too? Let's just hope the kid lives up to its name -- no pressure from Kimye, right? Seriously, what were they thinking? Next on our list is reality star Kylie Jenner and rapper Travis Scott's Daughter Stormi. There have been plenty of discussions on where Kylie took inspiration for the name from, with most fans agreeing it must be from butterfly effect, which is the notion that something as small as the fluttering of a butterfly's wings can cause a storm. And behold everyone, Stormi's daddy Travis even has a son called Butterfly Effect. Let's move on to Kim and Kylie's sister Khloe, she and basketball player Tristan Thompson gave their daughter the name True. It's kind of ironic they went for that name considering Khloe found out the truth about Tristan shortly before going into labor. Let's hope that wasn't the reason for the name choice. To be fair, True isn't the most unfavorable name on this list but it's certainly not about to win any awards for best name any time soon either. Okay, we definitely had to include this music royalty's offspring on this list. Beyonce and Jay-Z surely don't need an introduction and they made sure their daughter wouldn't either because Blue Ivy's name pretty much became an iconic name mere days after going public. At least the more we hear, the less weird it starts to sound, but that's just us getting used to it, folks. It is still is an odd name and the kid might still want to change it when she becomes old enough. Singer Toni Braxton and her ex-husband, singer-songwriter Keri Lewis went ahead and named their son Denim back in 2001. Yes, you read that right, Denim as in the jeans. And they didn't learn much from it as they named his younger brother Diezel. Toni might be great at singing, but she is definitely not the best at picking names. 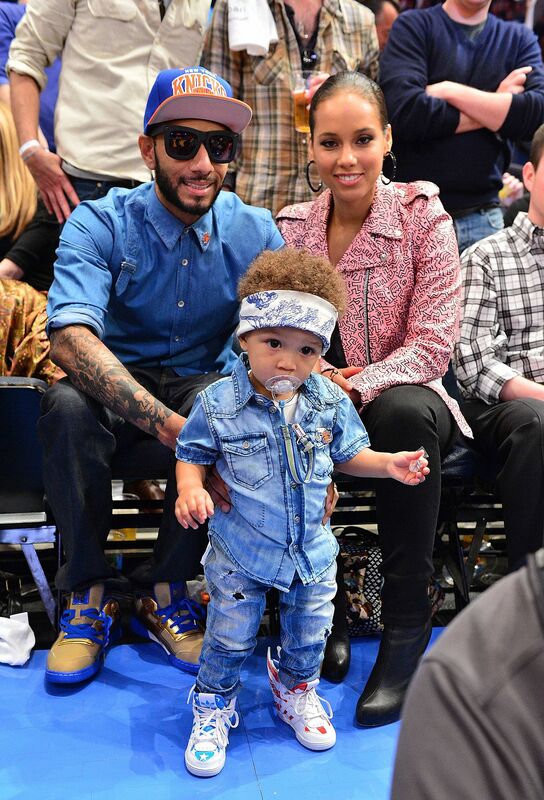 Making jokes is unavoidable with this one, so we have to ask, do you think denim looks good on Denim? Actress Gwyneth Paltrow and Coldplay singer Chris Martin are those kinds of icons whose baby-naming skills just aren't questioned. 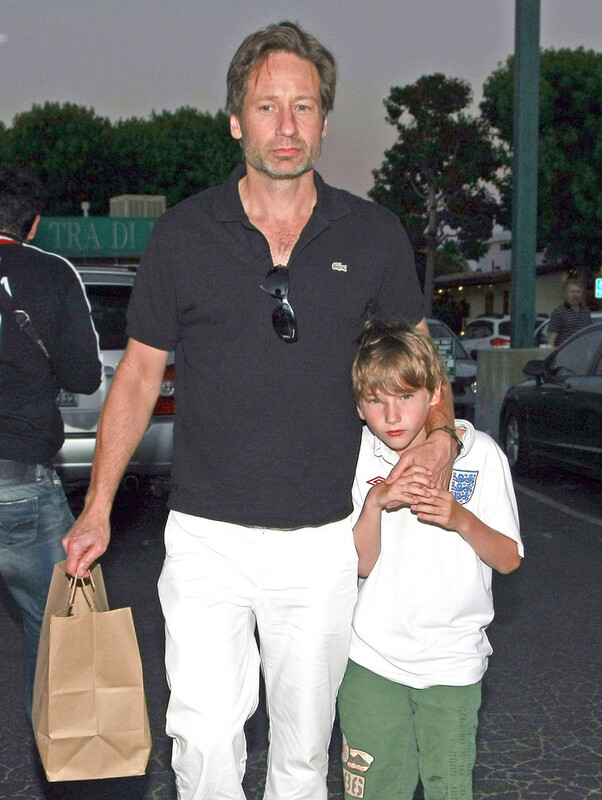 They are so effortlessly cool that it's easy to assume their kids have cool names too. But guys, they did name their daughter after a fruit. Or after a tech company. Honestly, we don't even know. We're just happy naming their kid after a fruit didn't take off because we saved ourselves a lot of Watermelons and Mangos running around. Why, just why? 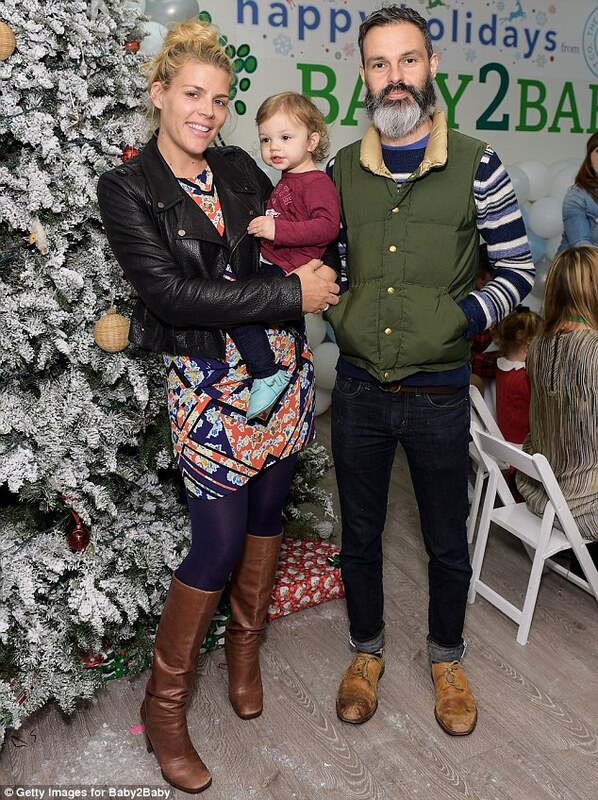 For some hard-to-understand reason, actress Busy Philipps and screenwriter, Marc Silverstein decided to give their daughter the name Cricket. You thought we were done with the Kardashians? Oh no, we still have one left. Rob Kardashian and Blac Chyna decided to name their daughter Dream because it was always their dream to have a child. Either that or they want the child to have big dreams, or... well we haven't figured out the reason yet. Either way, if their daughter decides to do anything other than showbiz when she grows up, she might have a bit of trouble making people take her seriously with that kind of name. Singer Ciara and rapper Future decided to name their son Future, back in 2014. And while giving the child one of the parent's names is totally uncool, to begin with, it's especially eyebrow-raising when that name happens to be Future. Just because rapper Nayvadius DeMun Wilburn decided to use the stage name Future for himself does not mean his son would like to have the same one. Some people should just not be allowed to name anyone, and this is a very long list of them. Actor and director Casey Affleck and his ex-wife, actress Summer Phoenix's named their son Indiana, and honestly, that whole trend of naming children after places needed to stop ages ago (we're looking at you, Paris Hilton!). Seriously, do the kids need to know where they were made? Because that is everyone's first taught. And Indiana surely wasn't named after his birthplace because he was actually born in Amsterdam. While we're on the topic, that would also make for a not-so-great child name. Just stick to the names category, not places or fruit. Multi-tasker Nick Cannon and his ex-wife, singer and self-proclaimed diva Mariah Carey named their son Moroccan and we don't even know where to start with this one. First of all, they didn't name the kid Morocco, they named him Moroccan, as in an ethnicity. But it gets even weirder when you consider that the kid isn't actually Moroccan, and neither are his parents. It's another case of a kid who might change his name when he's old enough. Remember how we pointed out that no one should name their kids after places or food? Well, let's just add animals and brands to that list. Because singer and songwriter Erykah Badu and rapper The D.O.C. 's decided to give their daughter the name Puma. Now that the girl is fourteen, we can imagine how annoyed she is at all the jokes her classmates might be making. Imagine if she shows up to school in a pair of Puma sneakers! She must love her parents for that name choice. We love singer Alicia Keys and her hubby rapper and producer Swizz Beatz, but we can't help getting that awkward feeling when we realize they named their son Egypt after the country. Why on earth would they think that that's a good idea? There needs to be a law that prevents parents from naming children after certain things, and places should probably be at the very top of that list. We still can't get over the fact that the kid's name is Egypt. Singer Usher and his ex-wife, stylist Tameka Foster, gave their child the name Usher. We already mentioned how annoying it will be for the kid once he realizes he was named after his dad, especially since his father is a world-famous superstar. So good luck to little Usher; looks like his parent's meant no pressure (we think) but you can rest assured the rest of the world will put it on him. Now that he has the name of Usher, the expectations are going to be very high. 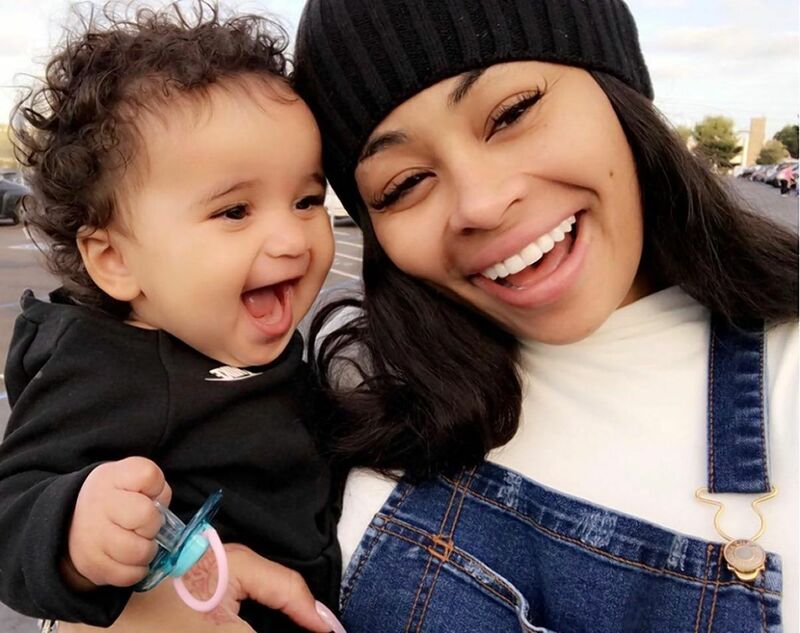 Rappers Lil' Kim and Mr.Papers gave their daughter the name Royal Reign, and honestly, this list isn't getting any better. It's certainly one of those names that has us scratching our heads and wondering, what were they thinking? More importantly, how is this kid going to be taken seriously with such a name? Royal Reign should never be an option for naming your daughter, no matter how much you want her to be a queen one day. 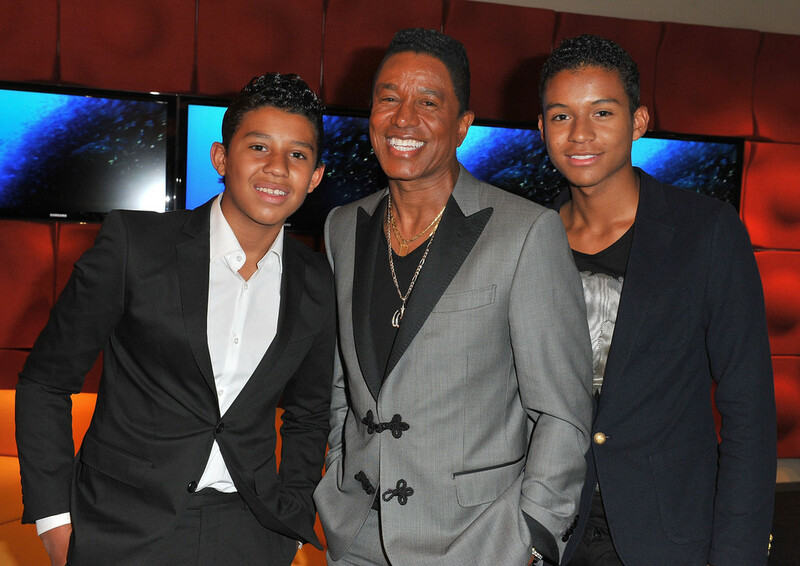 We can all agree that the Jackson family became iconic, pretty much as soon as The Jackson 5 was formed, but fast forward to the year 2000 when Jermaine Jackson had his first son, and lo and behold, he did not name him Jermaine after himself. Instead, he went a little off-course and decided to name his little boy Jermajesty. The kid is now an eighteen-year-old boy named Jermajesty. Let that sink in for a minute. We saved one of the best names for last. Actress Téa Leoni and her ex-husband, actor David Duchovny actually named their son Kyd. This one too has us wondering, what were they thinking, when they came up with this name? And once they decided on the name, why did they even go through with it? The kid is named Kyd. Imagine calling your son at a grocery store and yelling: KYD! These two either have a ridiculous sense of humor or they just genuinely think that's a good name.